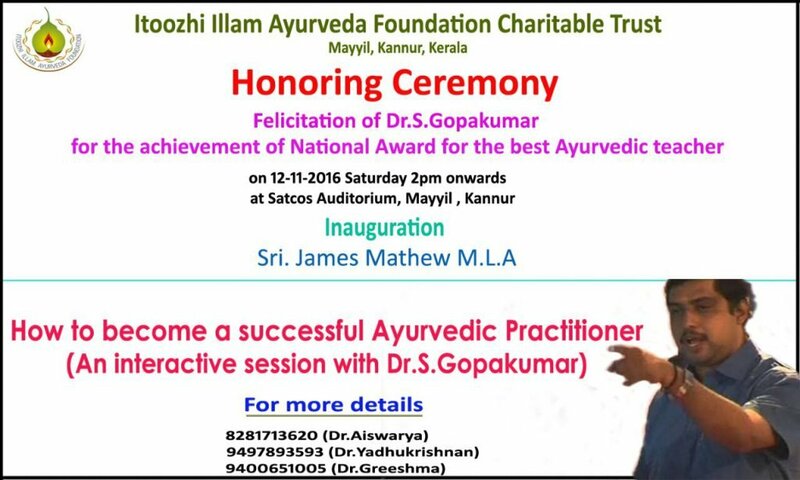 Itoozhi Illam Ayurveda Foundation Charitable Trust cordially invites you to the felicitation ceremony honoring Dr S Gopakumar, National Award winner for the Best Ayurvedic Teacher, on 12 November 2016, at Mayyil, Kannur. 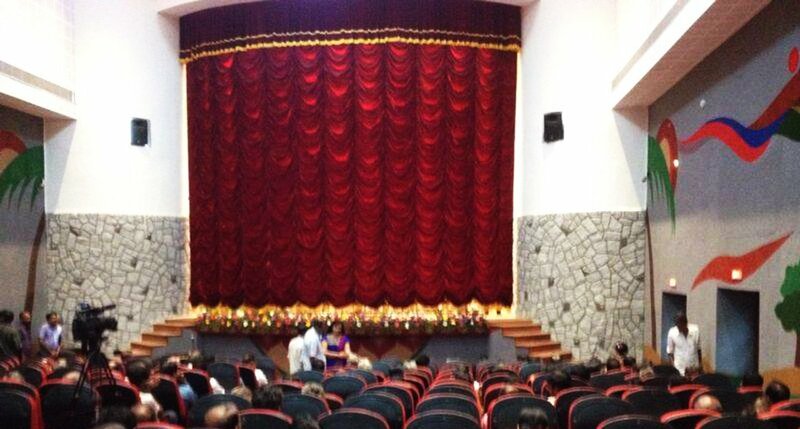 Sri James Mathew, MLA has consented to be the Chief Guest for the function and will deliver the inaugural address. 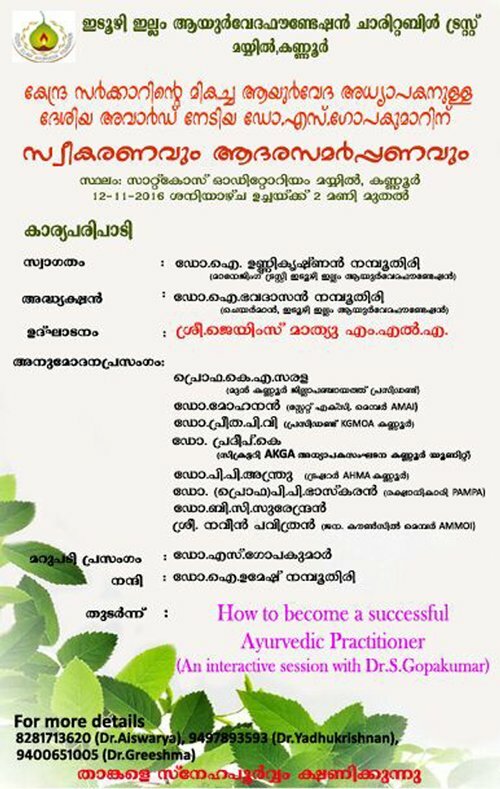 The function will be followed by an interactive session with Dr S Gopakumar on “How to become a successful Ayurvedic Practitioner” at the venue.